A Grasshopper frolicked while an Ant stored food for the winter. 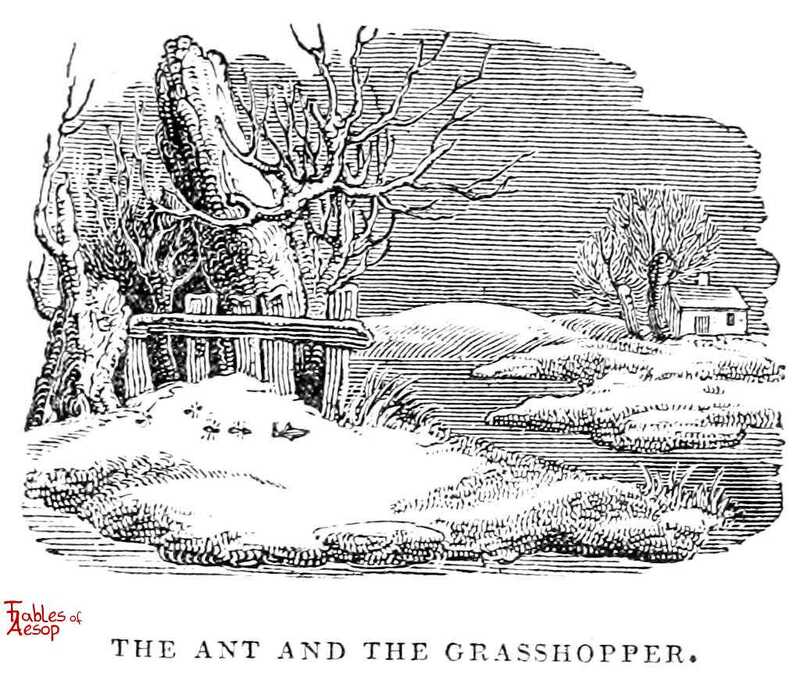 When winter came the Ant was comfortable; the Grasshopper not so. IN the winter season a commonwealth of Ants was busily employed in the management and preservation of their corn; which they exposed to the air, in heaps, round about the avenues of their little country habitation. A Grasshopper, who had chanced to outlive the summer, and was ready to starve with cold and hunger, approached them with great humility, and begged that they would relieve his necessity, with one grain of wheat or rye. One of the ants asked him, how he had disposed of his time in summer, that he had not taken pains, and laid in a stock, as they had done. Alas, Gentlemen, says he, I passed away the time merrily and pleasantly, in drinking, singing, and dancing, and never once thought of winter. 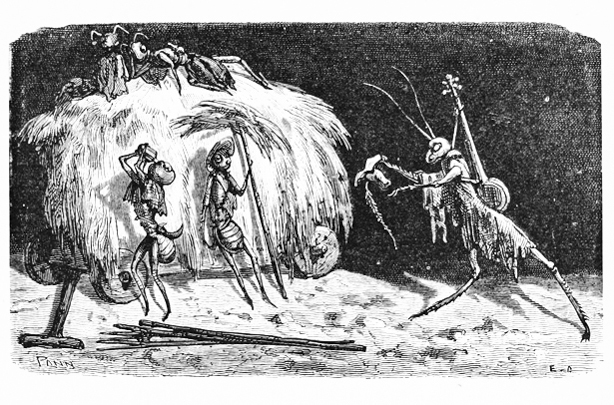 If that be the case, replied the Ant, laughing, all I have to say is, That they who drink, sing, and dance in the summer, must starve in the winter. 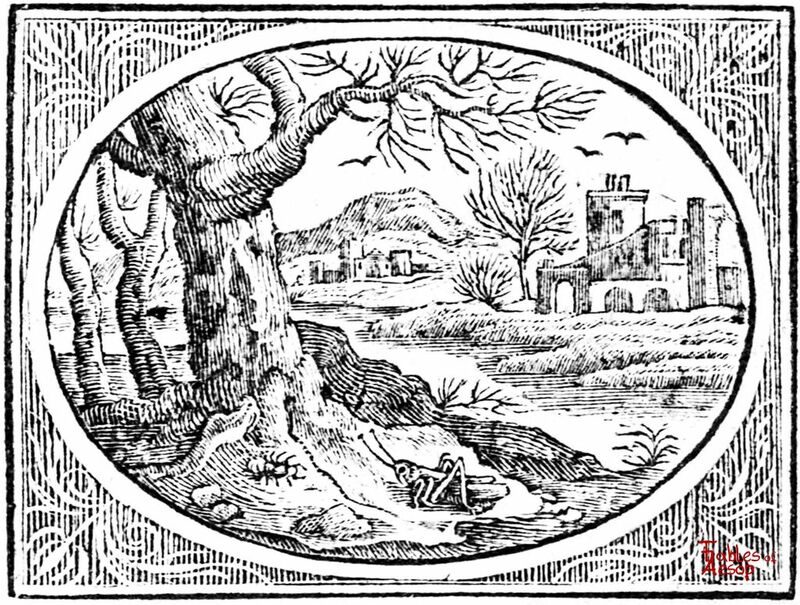 As summer is the season of the year in which the industrious and laborious husbandman gathers and lays up such fruits as may supply his necessities in winter, so youth and manhood are the times of lift; which we should employ and bestow inlaying in such a stock of all kinds of necessaries, as may suffice for the craving demands of helpless old age. Yet, notwithstanding the truth of this, there are mauy of those which we call rational creatures, who live in a method quite opposite to it, and make it their business to squander away, in a profuse prodigality, whatever they get in their younger days: as if the infirmity of age would require no supplies to support it; or, at least, would find them administered to it in some miraculous way. From this fable we learn this admirable lesson, never to lose any present opportunity of providing against the future evils and accidents of life. 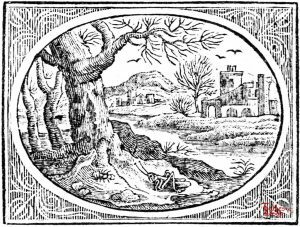 While health, and the flower and vigour of our age remain firm and entire, let us lay them out to the best advantage; that, when the latter days take hold of us, and spoil us of our strength and abilities, we may have a store moderately sufficient to subsist upon, which we laid up in the morning of our age. 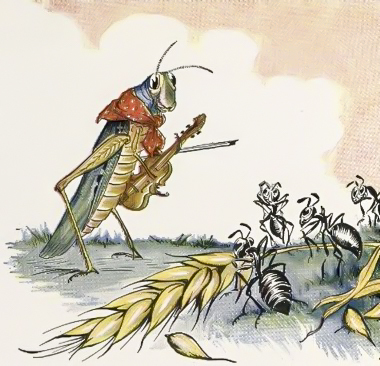 One summer’s day a Grasshopper was hopping about, chirping and singing to its heart’s content. An Ant passed by, bearing an ear of corn he was taking to the nest. The Ant went on its way. 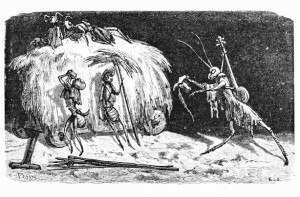 When winter came the Grasshopper had no food and found itself dying of hunger, while it saw the ants distributing corn and grain from the stores they had collected in the summer.